Montracon have recently expanded and upgraded their three sites with a multi-million pound investment. At Montracon’s Market Weighton factory, they specialise in refrigerated trailers, supplying all the major UK supermarkets, multinational companies and independents. 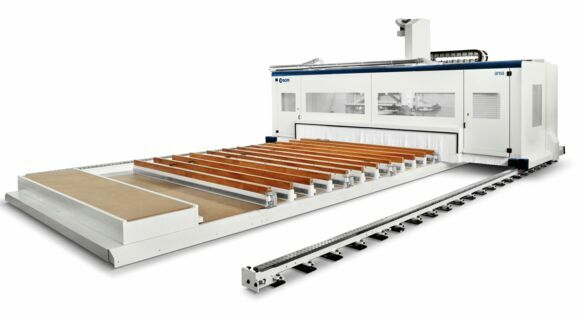 A CNC machine with a very long table, 23 metres by 4.5 metres infact, to accommodate trailer sides and roofs was specified and therefore an SCM Routech ‘Area’ machine was quoted and an order quickly followed. 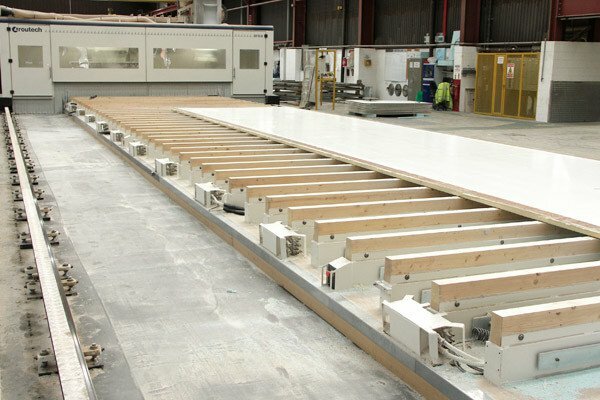 Of the hundreds of CNC’s supplied in the UK by SCM, this would be the largest CNC Machining Centre installed in the UK market with an investment by Montracon of over £350,000 on the Area and tooling etc..
Stephen Reeve comments “We were very impressed with SCM’s proposal as the machine also included a 5-axis Prisma ‘T’ machining head that would accommodate a large diameter sawblade that would trim all 4 sides of a typical 103mm thick double-sided GRP laminated foam panel and also drill any holes required for assembling various items located in a trailer to meet customer’s demands." The design of the Area is based on a modular system that allows the customizing of the work plan, which if necessarycan be 50 meters long. The Area’s operator and programmer, Paul Machen, uses Alphacam and SCM’s ‘Quick Link’ to program the Area. ‘Quick Link’ is a tool that allows the operator to interface with all the best Cad/Cam’s available on the market. It is not necessary to program individual elements, the information comes from the CAD that designed the component and‘Quick Link’ does the rest.